As the noted Triple Bottom Line author, “recovering lawyer,” and conference comedian presented to a standing room only crowd at the recent CRO Spring Conference in New York City, he had a lot riding on one thing: a Venn Diagram. In one circle, business interests; in the other, societal interests. Where they conjoin? 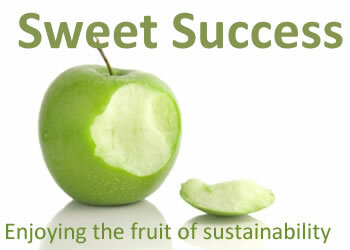 The sustainability sweet spot. With all due respect to Mrs. Savitz, this simple illustration turns out to be the crux of some big ideas for CSR professionals, as it seems today that the country’s best-run companies are those achieving economic, social, and environmental success. It certainly hasn’t always been that way. Mr. Savitz’s speed-history of CSR points to roots in the 1960s, when Ralph Nader started a movement of consumer activism, taking companies like GM to task for major safety blunders. Consumer activism grew into consumer protection in the 1970s, with corporations increasingly focused on assuring the safety of their products and the protection of the environment. In the 1980s, companies attuned to fair labor issues and environmental sustainability, like Ben & Jerry’s and The Body Shop, had highly respected but rarely replicated business models. It wasn’t until the 1990s when CSR went mainstream, thanks in part to some Nike soccer balls bouncing the wrong way. Former CEO and present Chairman Phil Knight came under fire for his reaction to a 1996 Life magazine spread depicting Pakistani children sewing the balls; he made it clear that he felt the practice, which took place in factories that Nike contracted but did not own or operate, was not his problem. Not so, said a disagreeable public. Its brand integrity and value at stake, Nike changed its tune and today stands as one of the corporate world’s most responsible citizens. The Nike case is pioneering in that it reflects the first time, at least at such scale, that the issue at hand did not directly impact the people making the outcry. Unlike consumer safety and environmental issues, the fair labor argument was one that Americans fought on principle alone. Today, as Mr. Savitz observed, the American public often expects of corporations what it used to consider the responsibility of governments. Companies are on the hook for a slew of issues that are largely new to them, like climate change, diversity, and human rights. To show that this new-found responsibility can be good for the bottom line, Mr. Savitz shared a litany of convincing cases. There’s Toyota, which saw an uplift in sales on all their models when they introduced the hybrid Prius. Or PepsiCo which, with the purchases of Tropicana and Quaker, has taken a new focus on nutrition by branding a number of Smart Spot products; the company subsequently passed Coca-Cola for market cap for the first time in 100 years, and the Smart Spot line is selling four times better than any of its other products. And that mentality is the point, as another conference keynote, Intel’s Chief Administrative Officer and EVP Andy Bryant, noted. Rated #1 on this year’s CRO 100 Best Corporate Citizens list, Intel is keenly aware of the need for balance between social and fiscal impact. “Today we forget in conversations about corporate responsibility that the company has shareholders. They have every right to ask if we’re spending their money wisely. [Social] initiatives must have a general business purpose.” Put another way, “your business properly conducted is your social responsibility;” it must be integrated into business strategy and culture. In 1999 the Dow Jones Sustainability Index (DJSI) was born, and with it a working definition of corporate sustainability- a “business approach that creates long-term shareholder value by embracing opportunities and managing risks deriving from economic, environmental and social developments.” The claim is substantiated; DJSI companies have consistently outperformed industry averages. It’s a useful definition, to be sure, but Mr. Savitz made a point of reminding attendees of the classic definition of sustainability – one he dubbed “poetic.” Sustainability is “development that meets the needs of the present generation without compromising the ability of future generations to meet their own needs.” Applied strategically, this understanding can reap economic, environmental, and social benefits for corporations and communities alike. Now that hits the (sweet) spot.